Customized Arch Tents are also known as Spider Tents. 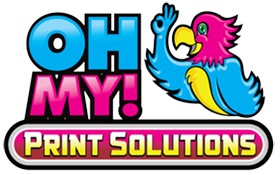 They are new and taking the promotional industry by storm as they have a large area inside to attract potential customers. Solid construction with a Large Dome and plenty of Branding Space these tents are rather large and can fit a fair amount of people, tradeshow displays and even cars. Perfect for all events outdoor or indoor venues such as stadiums. 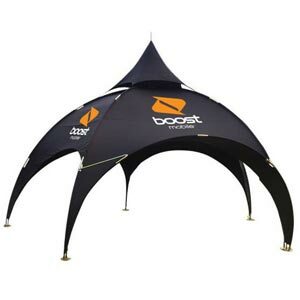 Promotional Arch Tents are perfect for your next medium or large scale event. Customized Promotional Dome Tents not only shelter from the rain but rather create event space within your event! Use for vending opportunities, temporary lounges, backstage VIP rooms…the sky’s the limit! If you are looking for a medium sized custom printed architectural tents then Arch Tents are excellent choices as they provide plenty of room inside for lounge furniture, kiosks, and activities. The branding opportunity on the outside of the dome is excellent and eye-catching as you can see them from quite a far distance. Made from 32mm diameter, 2mm aluminum or steel poles with your choice or 420D and 600D dye sublimation printed fabric these are built to last. You may purchase or with or without awnings. One can add single or double walls for extra protection and of course branding space! With 100 Square feet of Room inside with plenty of height this is an excellent size to have around 10 to 15 people inside. You can fit some lounge furniture or an informational kiosk. Extra Awnings will add more room undercover and an entrance. This Arch Tent is more than double the area of a 10 foot. The area is 217.5 square feet meaning you can fit up to 36 people standing. Of course, you’ll want to leave some room for your furniture and event equipment. Choosing whether to custom print your Arch Tent or choosing from one of our stock colors will have an impact on the overall price. 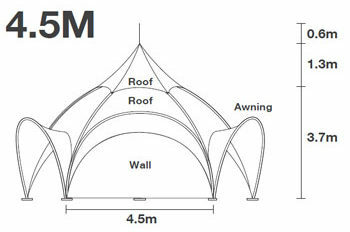 The areas to choose from are the Canopy, Walls, Peak, and the Awning. You are free to mix and match which can save costs. For example, you may choose a black canopy with your logos on the walls only, this will save costs. Or you may want a blue canopy with stock white walls. There are many choices. or white has a heavy duty 600D material. Both are Silver Coated UV Protected. Dome Tents Shipping is for Free Worldwide. Canada cities such as Vancouver, Calgary, Edmonton, Regina, London, Toronto, Montreal and more. Free shipping to America USA cities such as California, Seattle, Los Angeles, San Diego, Las Vegas, Reno, Houston, Ohio, Miami, Florida, Texas, New York, South Carolina, Chicago North Carolina, Boston and more. Free shipping to worldwide destinations such as Panama, Mexico, Brazil, Colombia, Dubai, Qatar, Saudi Arabia, France, Germany, Netherlands, Belgium, Nigeria, Kenya South Africa and more.